Double Non-Sea View Rooms. 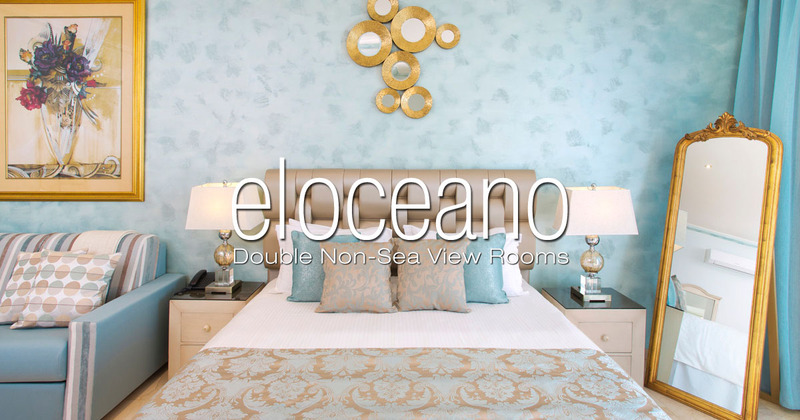 Beautifully decorated rooms in a modern, contemporary style with en-suite bathrooms, you’ll feel special at El Oceano! 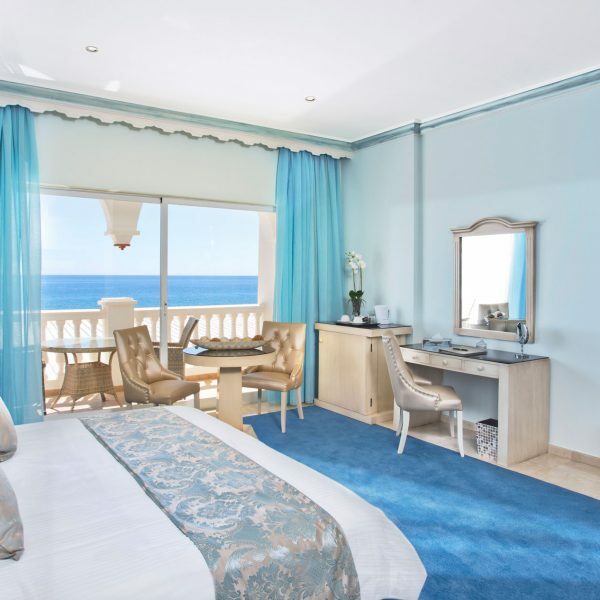 Luxury Beach Hotel Accommodation at El Oceano Hotel, La Cala de Mijas. Book your luxury room in Awesome April at an amazing low-season price!! SAVE 25€ per night throughout April! See more Awesome April room rates! 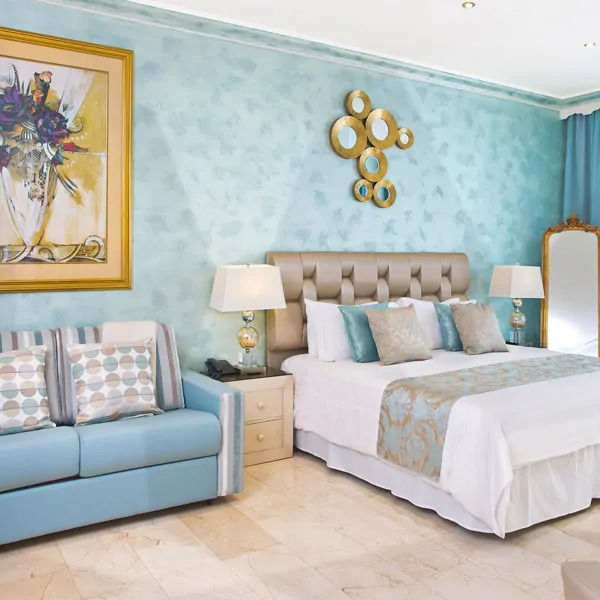 If you’ve seen the views and prefer to concentrate on the entertainment in the restaurants, our Double Non-Sea View Rooms are the choice for you! Spacious, beautifully decorated rooms in the main hotel building. 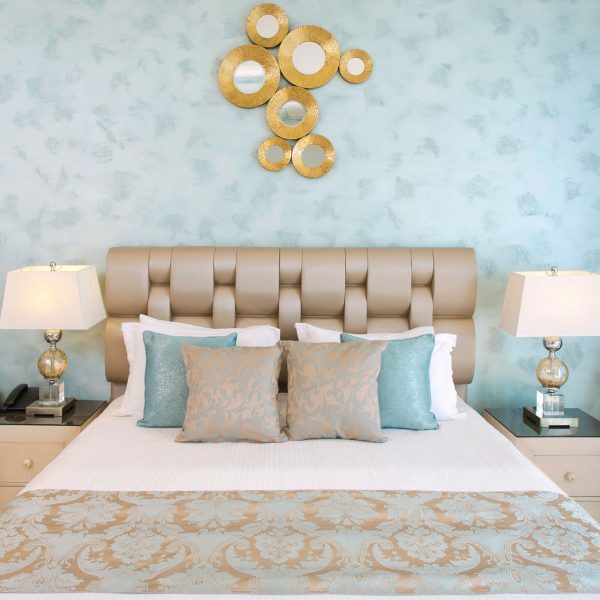 Well-appointed and equipped, the Double Non-Sea View hotel rooms are furnished in a classic style with warm, delicate colours. The private, en-suite bathrooms are comfortable with a bathtub, shower and toiletries. 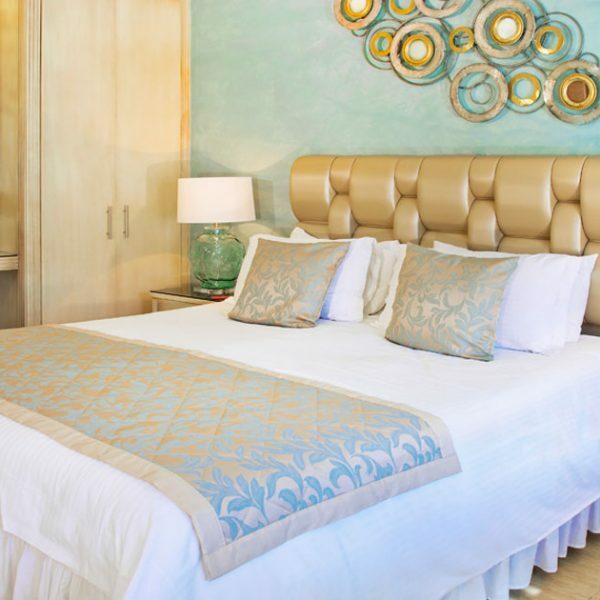 A modern furnished room, a nice bathroom and a comfortable, good quality double bed with the cleanest, crisp linen. There’s plenty of storage space for your luggage and you’ll also have access our new, super-fast fibre-optic internet free Wi-Fi and good size TV in your room. As a hotel guest, you receive preferential access to all the facilities of the hotel, including better access to entertainment evenings and to the VIP Sunbeds on the terrace! When we talk about ‘Awesome Afternoons‘, we really mean it! 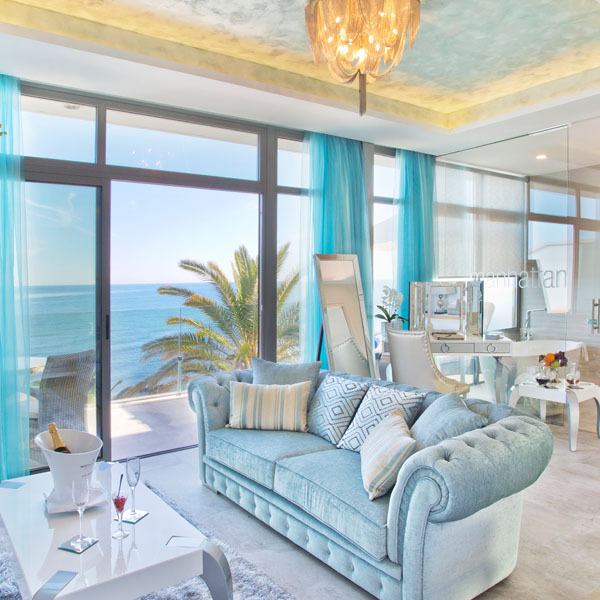 If you feel like a little Mediterranean decadence, book yourself one of the sunbeds and enjoy an afternoon – or evening – of sheer indulgence. Personal waiter service, the best cocktails you’ll find on the coast – all this right next to the sea! 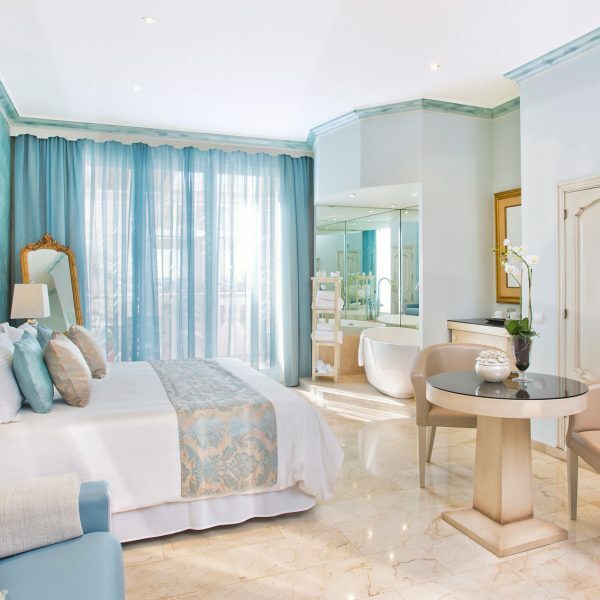 The Double Non-Sea View Rooms are a real touch of luxury, right next to the Mediterranean Sea. If you haven’t yet experienced El Oceano, maybe now is the time! Or Speak with our Reception Team before booking! All accommodation rates are quoted in Euros, per night for two adults only. Extra bed facility available in a limited number of rooms. There is a charge for an extra bed of €50 per night. El Oceano Hotel is recommended for adults only. No activities are available for children. During the High Season, we require a minimum stay of 3 nights.